The OXO SteeL Winged Corkscrew with Removable Foil Cutter is great for opening any cork-topped bottle. Turn the large, soft knob to drive the coated wire screw into the cork and raise the gear-driven wings. Push the wings down and watch through the Corkscrew’s cut-out window as the cork glides out of the bottle. When you’re finished, the Removable Foil Cutter snaps back into the Corkscrew’s base for simple storage. 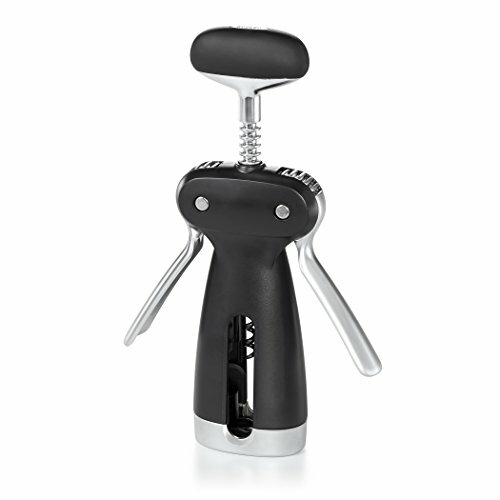 In addition to wine, the SteeL Winged Corkscrew is ideal for opening cork-topped bottles of oil, vinegar and more.